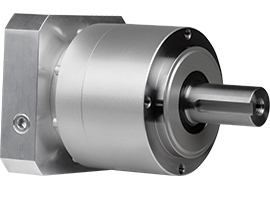 The VRL 070 frame is a compact and cost-effective high precision gearbox, perfect for servomotor applications such as gantries, injection-molding machines, pick and place automation, and linear slides. This inline gearhead has industry standard mounting dimensions and thread-in mounting style. This series, within a variety of frame sizes and ratios, can ship in 48 hours and is assembled in the USA.